I want you to imagine that you are young, very fit and go to great lengths to be fully educated on your health and that of your unborn child. Then after having a traumatic birth, being told that there is nothing wrong with you… But you just know that things aren’t right. Then eighteen months post-partum, you are given the diagnosis of a full bi-lateral levator avulsion (where the pelvic floor muscle is completely torn off the bone). This, you learn, is a direct result from your forceps delivery. 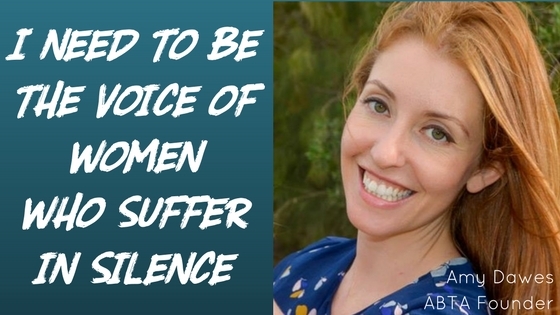 The silence around the issues of birth injuries resonated loudly when Amy tried to google birth injuries and could not find one website that could offer support during this difficult and confusing time. This is what happened to Amy Dawes. 10 – 20% of first time mothers experience irreversible physical damage from birth. 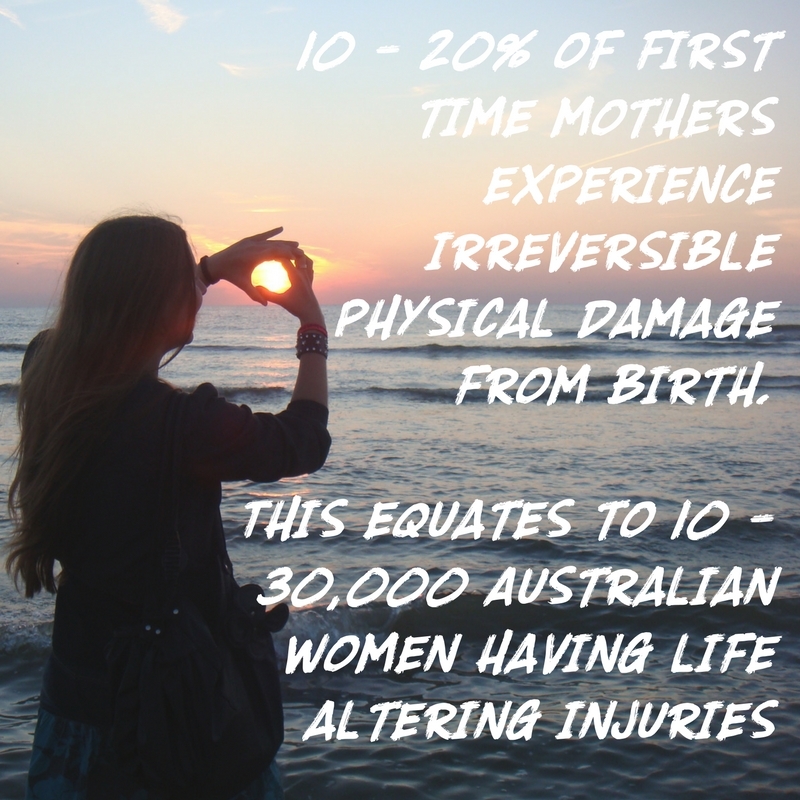 This equates to 10 – 30,000 Australian women having life altering injuries. Amy has created a Not For Profit called ABTA – Australian Birth Trauma Association. ABTA is a partnership with Elizabeth Skinner (midwife, registered nurse and clinician, lecturer and researcher) and Prof. Peter Dietz (a Sydney based leading obstetrician and gynaecologist). They are as passionate as Amy in raising awareness of the physical and psychological consequences of birth injuries. Amy undertook the overseeing of the ABTA website and the logistical set up of this Not For Profit, all while having her second child. This is no simple task. As any mother knows. The time when your babies are babies and toddlers are mini teenagers, your day rarely pans out how you imagine. For Amy, there is even more to this story. She was having to overcome her birth injury diagnosis. The future that Amy had imagined was active, working out with her daughter in the park… Showing her daughter that her mother was strong and full of vitality. This was the role model that Amy both wanted to be and imagined as her right. “It’s difficult when you realise you’re not going ot be the mum that you thought you’d be. I wanted to show my daughter strong women. Strength used to mean me being physically fit. But they don’t know the mum that I thought was going to be. They only know me as I am. After being treated for Adjustment Disorder with Acceptance and Commitment Therapy, Amy has been able to move forward and be the confident voice for others. Her belief in engaging in meaningful work has no doubt helped take away her fear of public speaking! 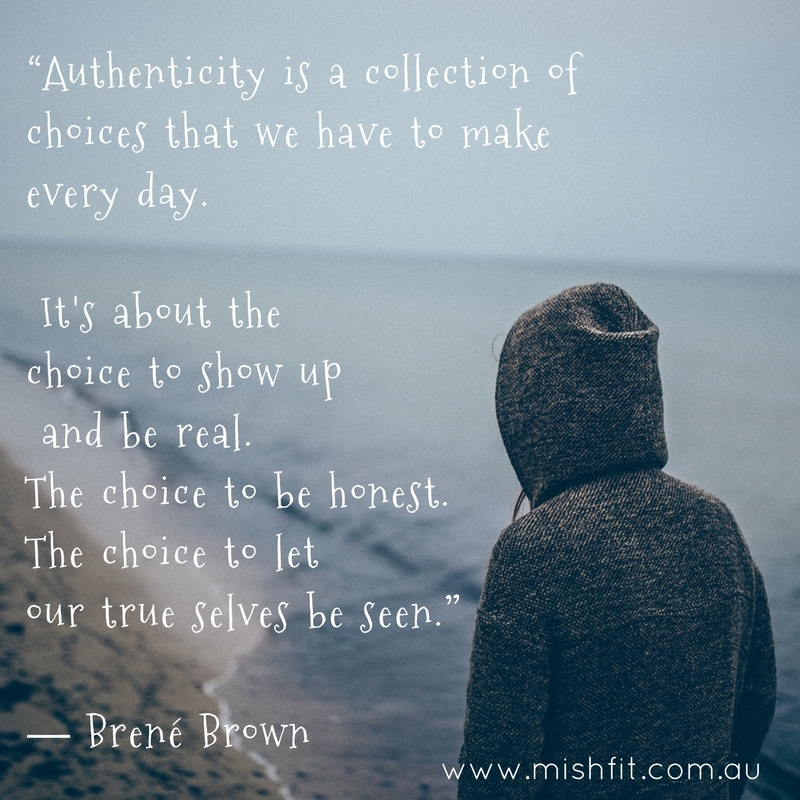 I know personally that Amy is warm, funny and has a completely Brene Brown approach to authenticity. And I am honoured that she will be a part of the Opening Panel at the Women’s Health and Fitness Summit. But perhaps you want to know Amy a little bit more? Then watch this wonderful (and mutual admiration society) interview between Kylianne Farrell and Amy Dawes as part of the Presenter Connect Series. These women who bonded over similar life stories, have been online support to one another, will meet for the very first time at the Women’s Health and Fitness Summit in a few days time. The summit is like that. It moves people from the digital to real life. Because nothing beats the ability to hug someone whom you greatly admire. Read about some more amazing and influential women who have taken their experiences to inspire others.